Hi… My Name Is Chef Char And I Am A Soupaholic! It’s true – soup is my Achilles heel! I love soup and I love to make soup – year round! I don’t care if it’s 9 degrees or 90, I’ll still eat a bowl of steaming hot soup anytime! I’m sure I love soup so much because I can remember my Mom’s soup! Mommy was such a fabulous cook! 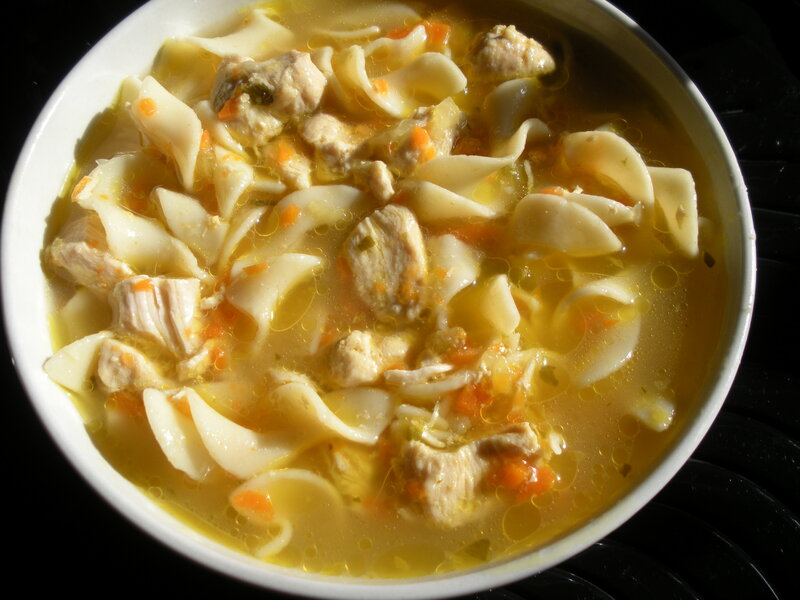 There are many kinds of soup that I love and make but I’ll start with a true classic – homemade chicken noodle soup! It’s soooul good! Cut chicken in half or if you prefer into pieces. Rinse chicken and put into a 6 quart stock pot. Add cold water to cover and put on low flame. Add carrots, celery and onion. Simmer chicken until internal temperature reaches 165. Skim foam off chicken at it cooks. When cooked, remove chicken pieces from broth. Remove skin and bone and cut up chicken into medium sized diced pieces. Return meat back to pot with vegetable and continue to simmer. Add salt, pepper, onion powder and chicken base. Remove bay leaves. Add cooked egg noodles and butter to pot. Turn off heat under pot. Serve with biscuits or crackers. Thanks for the heads up! I sent you a “thanks” via email but it came back so I’m putting this one under your remarks! I appreciate you taking your time to try to help me out!